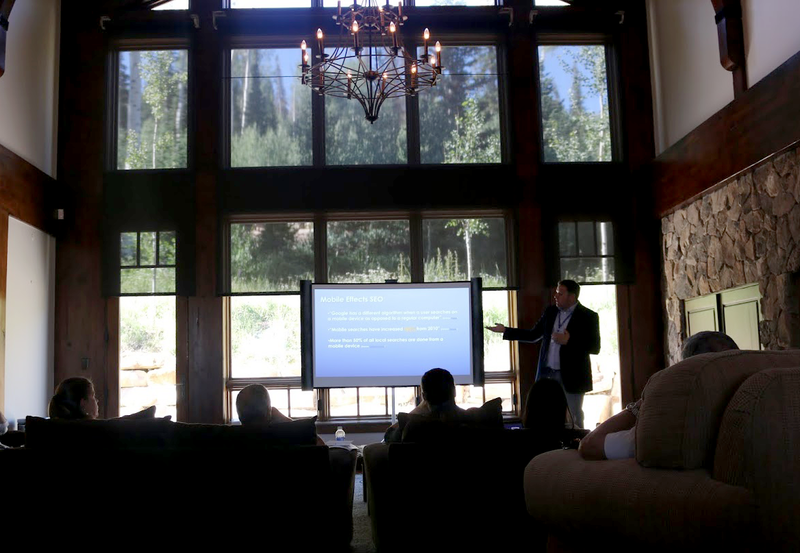 LiveRez Director of Sales and Marketing Tyler Hurst presents at the company's recent Park City Summit, held in an amazing 8,000 square foot luxury estate. This week LiveRez hosted its latest Summit Series breakfast seminar in beautiful Park City, UT. We had a great venue -- an 8,000 square-foot luxury estate -- and a great turnout filled with a mix of LiveRez partners and other local professionals. In the educational seminar, we had a range of presentations on new technology, local website traffic trends, software best practice and more. Additionally, managers had to chance to discuss a wide variety of topics in our round table discussions. It's always amazing to learn more about the challenges vacation rental managers face and hear them share the ways they tackle those challenges. And, it's even better getting to hear how LiveRez is making a big difference in their operations. The event is part of LiveRez’s ongoing Summit Series, an initiative that has the company hosting educational seminars all over the United States to meet with its partners and other professional managers. LiveRez will be releasing information on more Summit stops this year in the near future. Currently, the company is focusing on its inaugural Partner Conference, which will be held Sept. 8-10 in Boise, ID. To see pictures of the event, check out the slideshow below. Thanks again to all the managers who took the time out of their busy days to attend.